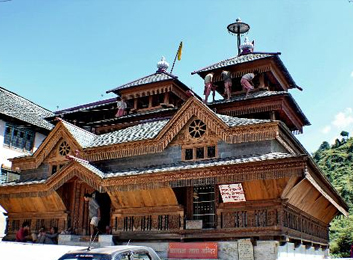 Located 100 km from Shimla, Mandi is famous for its temple of Goddess Durga in her incarnation as Kamakshya Devi. 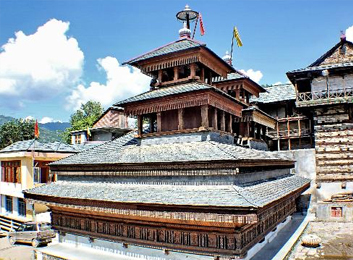 Sacred to Goddess Durga, this vividly wooden temple is perched on a hilltop. As per the legends, this place has witnessed the war between Manhishasur and Goddess Durga. Manhishasur (the king of devils) who was cursed to be the water buffalo was killed at the same spot where the temple is located. The demon was in the form of a buffalo and hence, numerous buffaloes sacrifice at this temple on the eve of Navratri. 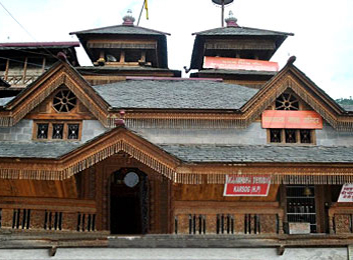 Mandi's most innovative structure, Kamaksha Devi temple is a shrine where silence and order prevails. From the top hill of the temple, tourist can catch the view of magnificent Shivalik mountain ranges.